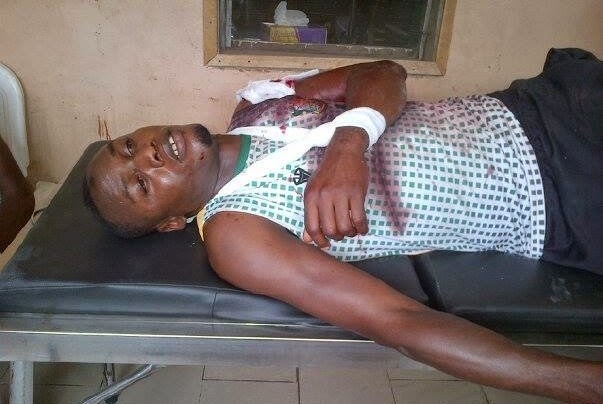 Kano Pillars star striker Gambo Mohammed has undergone surgery to remove bullets lodged in his body after his club’s bus was attacked last week by robbers. hospital in Kano a week after the attack. Eneji Otekpa amd Murtala Adamu, who were also injured in the attack, were discharged on Wednesday from the Aminu Kano Teaching Hospital in Kano. The club media officer, Idris Malikawa told AfricanFootball.com that Otekpa and Murtala Adamu have been discharged from the hospital leaving only Gambo behind. “Two more players have been discharged from the hospital, they are Eneji Otekpa and Murtala Adamu. Only Gambo Mohammed remains in the hospital now, but he is getting better,” Malikawa told AfricanFootball.com. Reuben Ogbonnaya and Ubong Ekpai were discharged earlier. 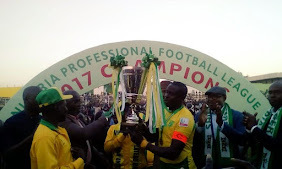 Pillars will start playing again on Saturday when they welcome Bayelsa United in a league, while their CAF Champions League clash against Moghreb Tetouan of Morocco has been moved to next weekend. Please all Nigerian Fans should say a prayer for his quick recovery!!!! !